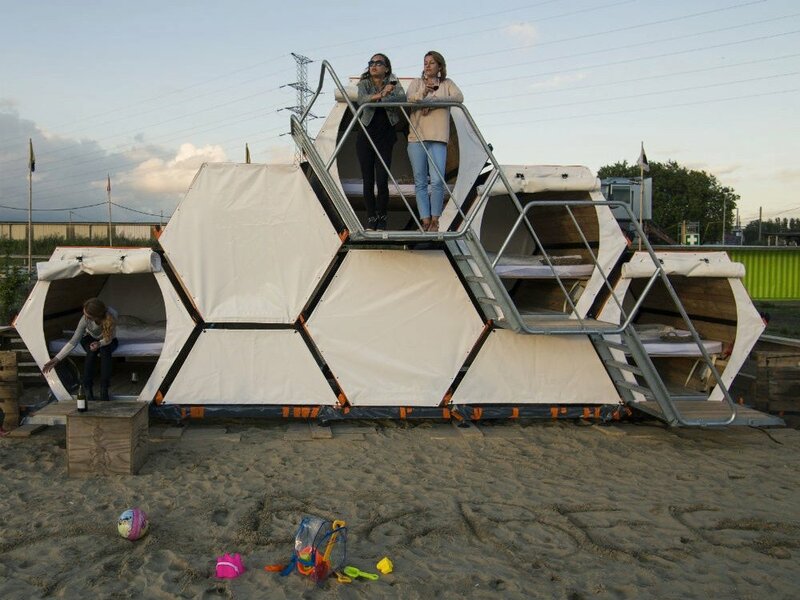 Honeycomb Sleeping Pods For Music Festival-Goers: Wired features B-And-Bee, the winning design for a Belgium competition for sustainable entrepreneurship. Believe it or not, each pod is big enough to fit a king size bed! Where do we sign up? There’s No Place Like NYC In The Summer: Summer Fridays, Saturday afternoons laying out in Sheep Meadow, outdoor dining and maybe even an ice cream cone from the Mister Softee truck… DesignTaxi spotlights a slow-motion video of scenes in the city during the dog days of summer. Going Back To The Basics of Design: Lifehacker reminds us that design is part of everyday life. Use these three basics from design 101 to help improve your photography, interior design and writing skills.